Courageous Commitment ... to Walk Out All That We Talk About! The desire to make this year better than the last is something that all of us long for at one level or another. Courageous commitment is the way forward! This is a guest post by Terry Hoggard. 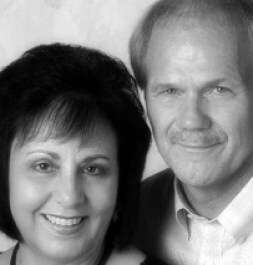 Terry is a European missionary, pastored in Rome and Brussels, Vice-President of International Program for Convoy Of Hope, and a certified life coach and consultant. Follow on Facebook. The new year is clearly an open invitation to start anew and we all have our own perspective on just what should happen and how the process should unfold. I know my annual routine well and honestly, I love it! However, I know that our individual routines vary greatly … and as varied as they may be, I think that all of us would agree that making any kind of change a reality is a challenging task. Change does not come easy! We know that resolutions, renewed thinking and trying really hard are noble efforts … but they fail us entirely. Over and over again! Courageous commitment … to walk out all that we talk about! He then makes a case for “courageous commitment” being that greater force! Courage enables you to have the commitment that you need to initiate a new life and the conviction to see it fully develop. Courage enables you to resist your old unhealthy habits and patterns, and to make difficult choices to do what is in your best interests. Courage enables you to let go of the familiarity and comfort of your past and grab on to the hope that will move your life forward in a positive manner. Living in this way is our highest aim … and achieving it will certainly require us to live beyond ourselves and move more and more into a position of total dependence on God and reliance on the supernatural strength that only He can provide. If we can succeed here, then life for us and those around us will get better and better! Let’s make 2019 that kind of year! I want this to be true of me … and of you as well! It can be. But we need to start now. And never stop!